The REP gets Tails Wagging! Registered charity, Birmingham Repertory Theatre has announced a joint fundraising partnership with Hearing Dogs for Deaf People. Registered charity, Birmingham Repertory Theatre has announced a joint fundraising partnership with Hearing Dogs for Deaf People. The city centre theatre will be raising funds during the run of their production of The Hundred and One Dalmatians which bursts to life on stage from Thursday 30 November – Saturday 13 January. REP First is a three year campaign which aims to raise vital funds in order to ensure that the theatre can continue to nurture the region’s talented young artists, commission exciting new works, welcome new audiences and reach out to the communities of Birmingham and beyond. 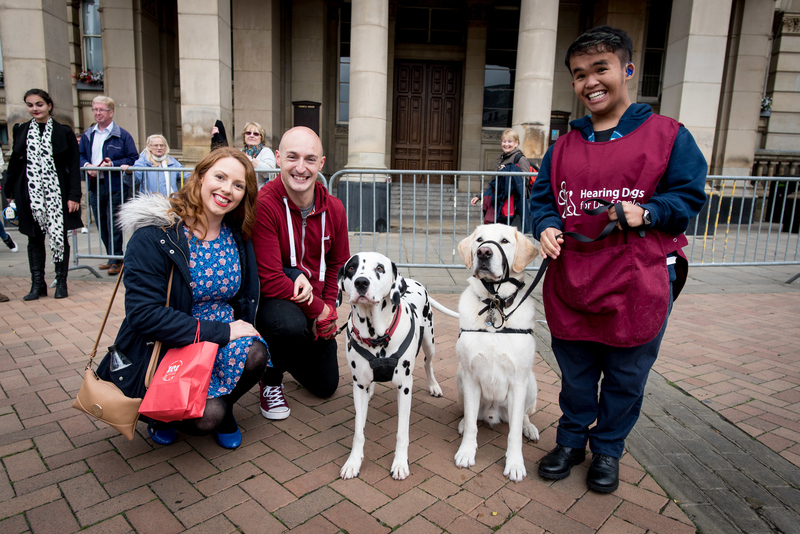 It’s wonderful that Hearing Dogs has been chosen as the official partner charity for The Birmingham Repertory Theatre’s production of ‘101 Dalmatians’, especially in this, our 35th year. We’re working closely with The REP on a number of fun and exciting plans to engage families and visitors coming to see the show, to help raise awareness of the amazing work our hearing dogs do, completely transforming the lives of thousands of Deaf people in the UK. We’ll hopefully raise some important funds for the two charities during the show’s run. Children and adults alike will be gripped by this magical tale as it comes to life live on stage, complete with beautiful staging and mesmerising puppetry from Director Tessa Walker and Designer Jamie Vartan who collaborated for the record-breaking 2015 production of The Lion, the Witch and the Wardrobe. Dodie Smith’s delightful and much-loved tale, adapted for the stage by the Writer and Director of the hugely popular Nativity! films, Debbie Isitt, is sure to get tails wagging this Christmas.